Microsoft recently launched windows 8.1 and Windows RT 8.1 update for windows 8 operating system. I hope you people are using it. 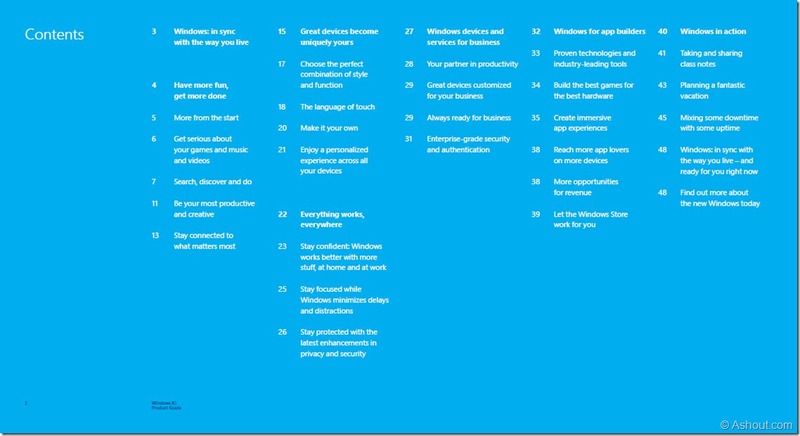 To make everyone to understand latest update, Microsoft released it’s official windows 8.1 and Windows RT 8.1 product guide. I just went through with that guide. What I observed is, a neatly designed PDF book which don’t help much regarding new options which are available in the latest update. They have just given a overview about few apps and not mentioned any tutorials. 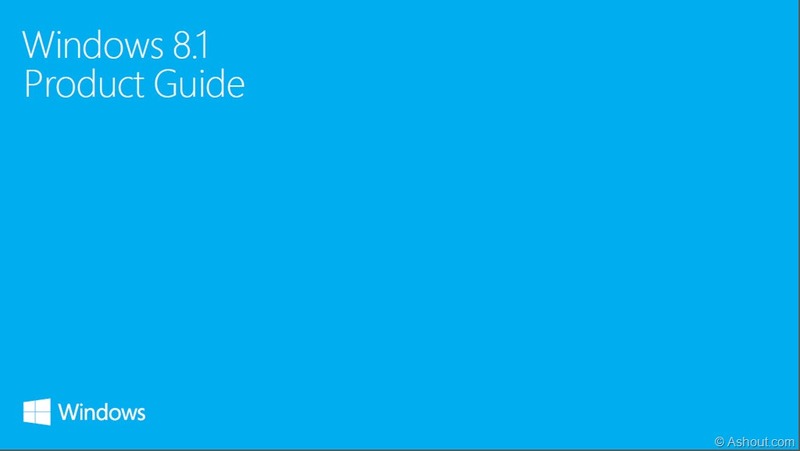 But I still recommend everyone to go through once, because after all it is an “official” guide to windows 8.1. 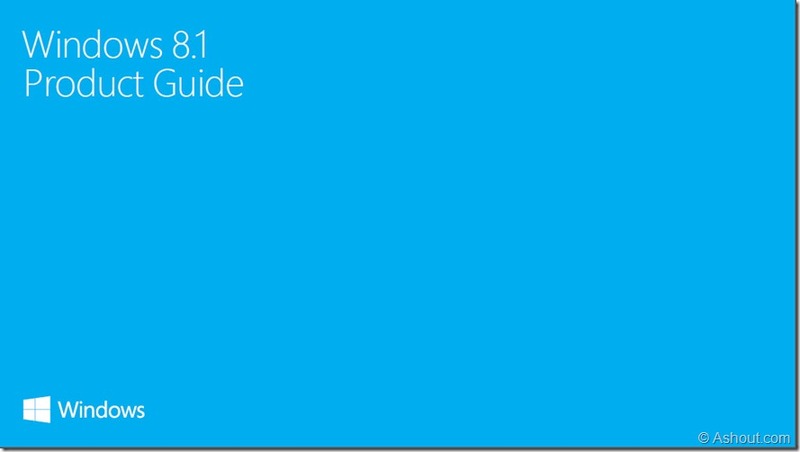 This official windows 8.1 guide comes with 49 Pages of content with the file size of 10.2 MB. If any of you would like to download this guide then visit here. If any of you are interested to know the content before downloading it, then have a look on the below image.